Happy Earth Day! As you’ve undoubtedly heard a million times before, “Earth Day is every day.” And at ECM that’s certainly the case. That’s why today is a great day to highlight change-making projects that you can be a part of. Today and every day! In many spiritual circles, it is popular to talk about gratitude. Gratitude encompasses much more than a quickie “thank you.” It implies a much deeper state of mind, one that practitioners realize will position you to receive even greater abundance. Gratitude – together with all the volumes that have been written about it – is very much an ingredient of the gift economy. A very beautiful ingredient, which enriches our hearts and spirits, at the same time as it potentially invites more substantial and tangible gifts. Some communities are beginning to set up “gift circles” — a collection of people who want to engage in gifting practices on a regular basis. But you don’t need to wait for an official gift circle. Here’s how you can get gift economy concepts rolling right now. Gifts have the function of bonding communities together. … If your entire life is nothing but money transactions, … then you don’t have community because you don’t need anybody. My dad just gave me a brand-new sawzall reciprocating saw. Yesterday its maiden voyage helped to repair the rainwater harvesting tanks at the community garden. In the spirit of gifting (in Maori they call it hau), with this “second giving” the sawzall entered into the gift economy. Southern California has a bizarre relationship with water. The water that flows from your tap or garden hose in Los Angeles comes from hundreds of miles away, from the Owens River Valley, from the Colorado River, or from the State Water Project which is basically the Sacramento area. Meanwhile, all the rain that falls here locally on the city each year is treated like a waste product. It is whisked away as fast as possible, off our properties, into the storm drains, and out into the ocean (where each year its chemistry and pollutants cause great disruptions to ocean life). 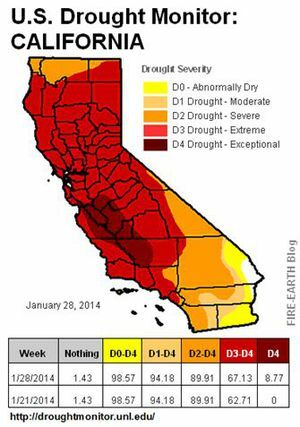 Over the past few years, California has experienced droughts severe enough to merit water use regulations. Residents complained – a lot – but in our classes at the Community Garden we point out that some of the regulations are wise gardening practices anyway, and that water consciousness is the new normal.